8 Jalan Tun Sambanthan, Kuala Lumpur. GRILL 582 is all set to tempt couples this year with a Valentine’s Day dinner that offers a visual and edible treat. The restaurant at Ramada Plaza Dua Sentral Kuala Lumpur will be serving a four-course dinner crafted by sous chef Siti Arini Darsom, which includes an optional wine pairing. “Since it is a Valentine’s Day menu, I decided to base it on the theme of romantic colours, with red and gold being the predominant shades. 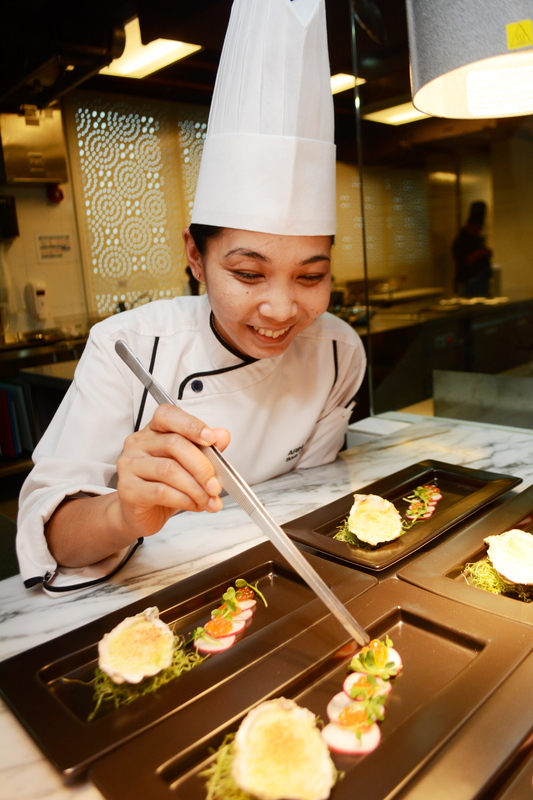 “Each course also represents what is served here at Grill 582, which is the finest steak and seafood,” said Siti Arini. The dinner starts with Gratin of Irish Oysters, Braised Leeks with Mustard Cream, served with golden roe and daikon cress. It was paired with 2013 Dr Loosen Riesling. Siti Arini said oysters, often considered an aphrodisiac, are popular starters and make a natural choice to set the tone of the meal. Main course:The Pan-Fried Atlantic Cod served with mango and avocado salsa, buttered cocktail potatoes and violet leaves. 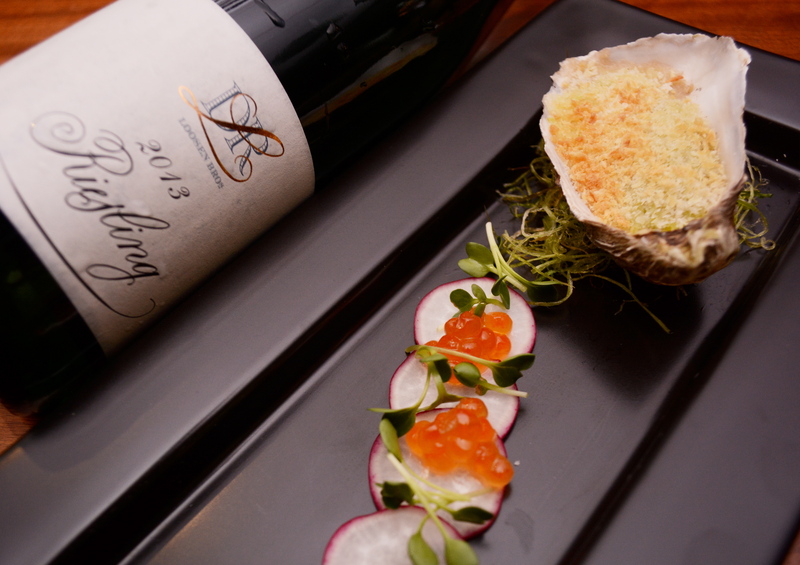 “The appetiser features baked Irish oysters accompanied by braised leek, mustard and cream. “It is served with roe, which can be enjoyed together with the creamy oyster or separately. The gratin and red radish add some contrast in terms of texture,” she said. Next is the Love Apple Soup of Sweet Roma Tomatoes Puree and Creme Fraiche, which was paired with 2011 Ohau River Pinot Noir. “Tomatoes are known as love apples, hence the name of the soup,” said Siti Airini of the fruit. A Virgin Margarita Sorbet of strawberry and basil with Magic Popsugar is then served to cleanse the palate, with the popsugar providing a fun element with its crackling effect on the tongue. The main course offers a choice of either Australian Lamb Sous Vide served on a bed of buckwheat salad with mint, and carpaccio of asparagus and caramelised lemon, or Pan-Fried Atlantic Cod served with mango and avocado salsa, buttered cocktail potatoes and violet leaves. The lamb was paired with a 2010 Lamole di Lamole Chianti Classico DOCG, while the fish was paired with a 2013 Rawson’s Retreat Private Release Chardonnay. “The lamb is special because it is cooked using the sous vide method — the meat is sealed in an airtight bag and placed in a 55ºC water bath for 24 hours. It results in a more tender texture, compared to baking. 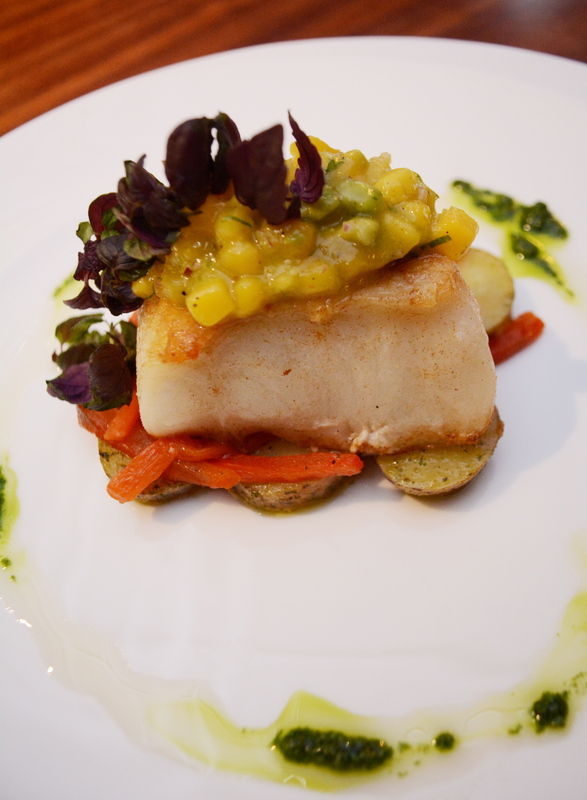 “I decided to use mango to accompany the fish, as mango salsa typically goes well with seafood. Instead of a spicy mango salsa, I created a mango and avocado salsa for a sweet, sour and creamy taste. Pesto sauce was added for colour and taste as well,” said Siti Arini. Visual and edible appeal: Siti Arini crafting the restaurant’s Valentine’s Day menu based on the theme of romantic colours., with red and gold being the predominant shades. For a sweet ending, the Red Velvet Cheese Souffle with crystallised mint was served. It was paired with a 2009 Disznoko Tokaji Late Harvest. “The dessert resembles a mousse as I wanted the meal to end with something light and fluffy. The addition of crushed Oreo cookies and tuille made of white and dark chocolate offer a contrast in texture,” said Siti Arini. The dinner is available only on Feb 14, from 6.30pm to 10.30pm. It is priced at RM398++ per couple without wine pairing, and RM598++ per couple with wine pairing. Ladies will receive a rose and heart-shaped chocolate pralines. This is the writer’s observation and not an endorsement by StarMetro.